Being a mom alone is already challenging, but of course rewarding. One of the biggest challenges we have is finding a reliable and trustworthy caretaker or yaya for our kids right? Believe me, I’ve been there a lot of times already. I even wrote about it on my blog before. What I don’t appreciate the most about kasambahays is, you’ve adjusted so much to their attitudes, You’ve been lenient and you’ve even lowered your expectations from them as long as they focus on caring for your child, and yet, they leave! Sometimes, they don’t leave properly pa, as in walang paalam. Kakaloka diba? Especially for working moms like me, who goes to the office everyday. So with this dilemma before, I was left with only two options: To file a leave until I find a replacement or bring my child to work. I cannot afford to do the former because I have tons of work to accomplish. So yes, I’m lucky I have a very understanding boss who allows me to bring my child to work. Bringing a child to work isn’t an easy task, especially if you’re bringing a toddler. I used to bring my little one when he was younger and I already expected that managing both him and my job was going to be hard. But if you are a bit creative and you are someone who plans things, you’ll be able to survive the day. I did, several times. Set Ground Rules. First of all, talk to your child. Tell him the reason why you’re bringing him with you to work. It’s important to tell him how to behave properly. I always say that running around and shouting are not allowed or else, mom will be reprimanded by her boss, which is of course true. No matter how understanding my boss is, disciplining my child is a must, para maka-ulit at di madala ang colleagues and bosses. Look for a safe area where he can stay. Not all offices have a spare and safe space for kids to stay in while you work. What I did was book a small conference room where I could stay and work in the office and let my child stay with me. If the conference room isn’t available, I let my child stay beside me so I could be available right away when he needs something. Bring his toys, activity or story books, and writing/coloring materials. To keep your child occupied, make sure you bring the things he usually uses or plays with at home. This will help him feel safe and familiar with the new environment. Making him busy will also prevent him from getting bored. When kids get bored, that’s the time they look for things to do where he will channel all the stored energy in him, usually these are tantrums (oh no! ), running (no to accidents! ), and shouting (waah!). Schedule his activities for the day. I’m sure you know your child better than anyone which means you know how short or long his attention span is. Aside from your schedules and priorities at work, make him part of your day’s to-do-list or schedule. 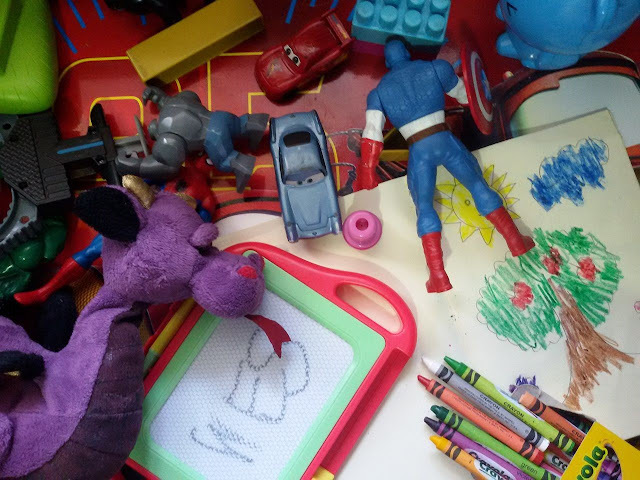 Plan what time he should start coloring, writing, drawing, eating, playing with toys, and napping. I also include in the day’s agenda a time for us to go out of the office and find a nearby park. Bring snacks and safe water for hydration. 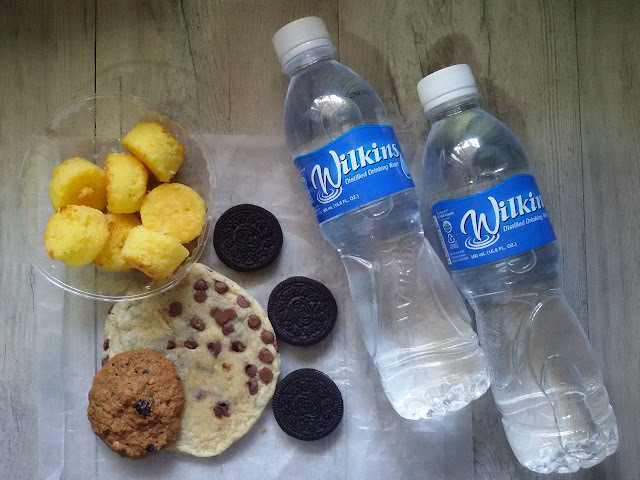 This is one of the most important things to remember, to bring snacks and safe water for hydration. Kids, especially mine, find delight in snacking. For him it’s a fun activity of the day. Make sure you bring his favorite snacks. To avoid water-borne diseases or dehydration, it’s recommended to bring bottles of safe drinking water, lots of it. Make sure your child never gets thirsty and hungry to help avoid unnecessary tantrums and discomfort as well. Personally, I only give Wilkins to my kids because it’s most-trusted by moms like you and it’s most-prescribed by pediatricians. I’m assured of its quality and safety. Promise a simple reward for good behavior. And make sure you fulfill your promises. After a full day’s work and with his good behavior, a simple reward could teach him well that good behavior could always result to something great. It could be anything like a new toy, his favorite food, a trip to an activity park or anything that you know will make him happy. This will mark in his cute little memory that he should behave well the next time you bring him to your work place. Do you have anything to add to my tips or want to learn other mommy tips? Visit Wilkins Distilled Drinking Water’s Facebook Page, follow them on Twitter or search for the hashtag #DropsOfCare for more useful tips. Hi Louise, thank you for this post. I am also considering the laser procedure for my son. I don't think there's any follow up post to this, so I would like to find out how the laser procedure went. Hello Nelson, my son didn't approve a follow up post after this.. BUT I will update this post na lang in a few days so you'd know how the procedure went. :) Thanks so much. thanks Louise. I trust that it went well despite the non-approval of the follow-up post.